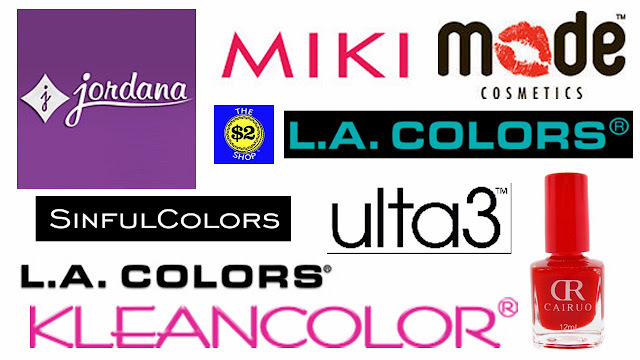 Cheap Nail Polish Review - Jordana, Kleancolor, Mode, Sinful Colors & Many More. I made a heap of videos in the weekend, unfortunately making them is the fun part and editing takes forever. I finally managed to get one edited and it's uploading as I write this. It's a review of all the cheap nail polish brands I own - lacquer under the $7 mark (that's cheap in New Zealand). P.S: This video felt so much weirder to edit than usual. Normally I just do an intro - "Hi I'm Jessie from Nailed it NZ blah blah blah... look see nails... tutorial now." It's weird spending the whole time in front of the camera.